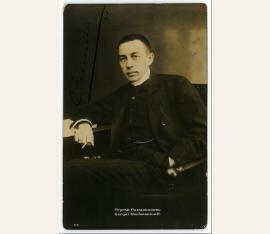 Russian pianist and composer (1873-1943). 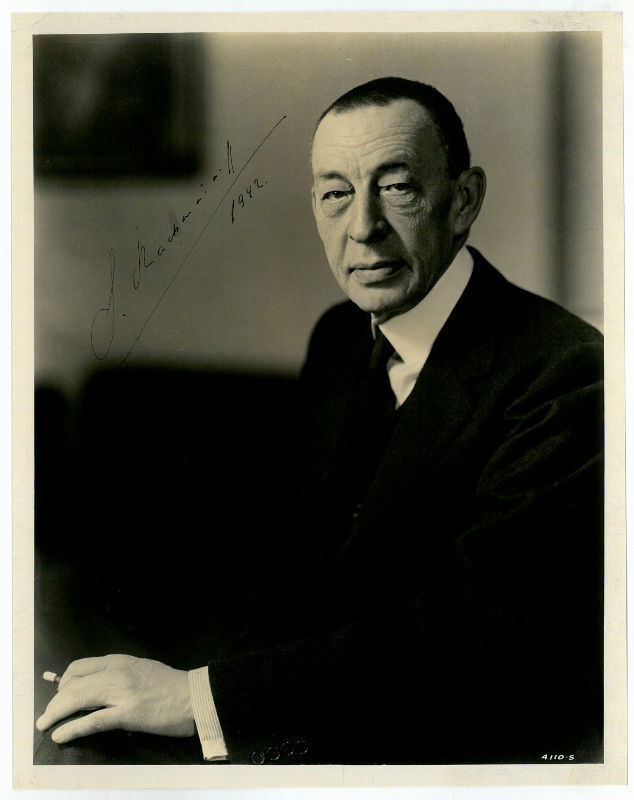 Portrait postcard signed. No place. 8vo. 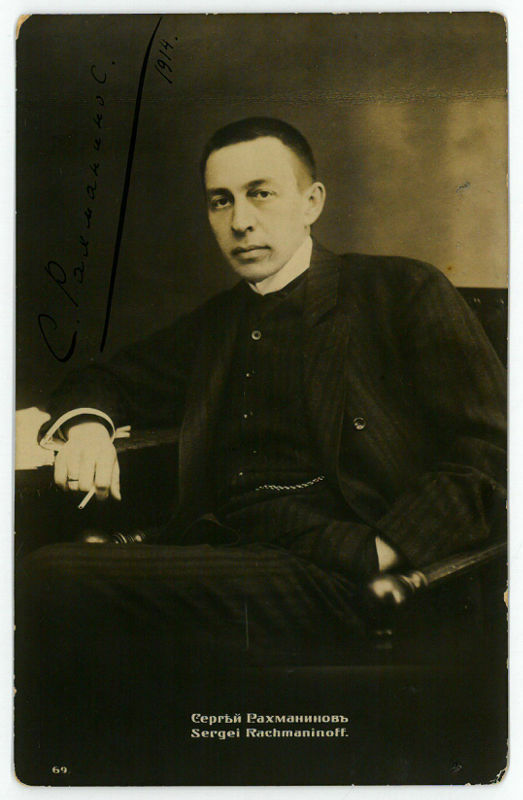 Russian pianist and composer (1873-1943). 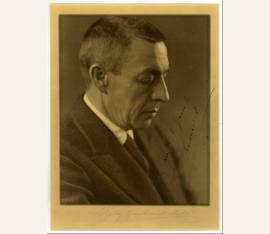 Portrait photograph signed. No place. 250:196 mm. 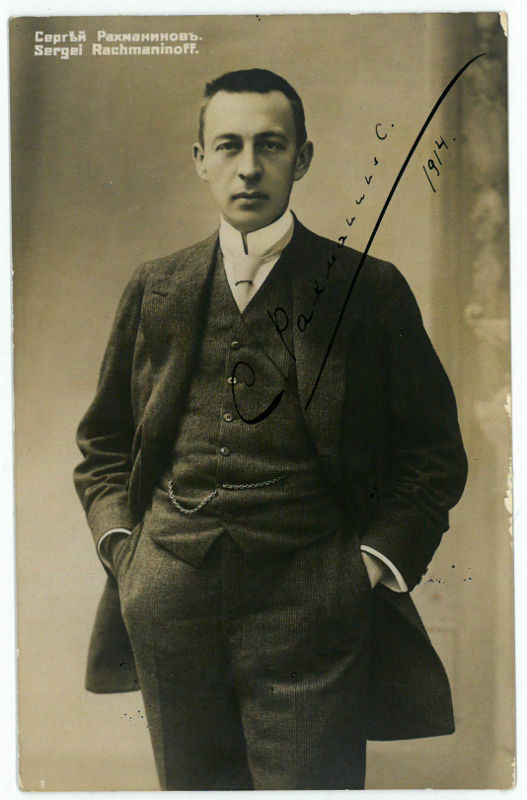 Russian pianist and composer (1873-1943). 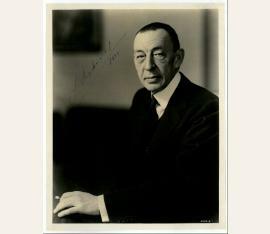 Photograph signed and inscribed. No place. 284 x 212 mm. "To Mrs. R. E. Yarnale [?] 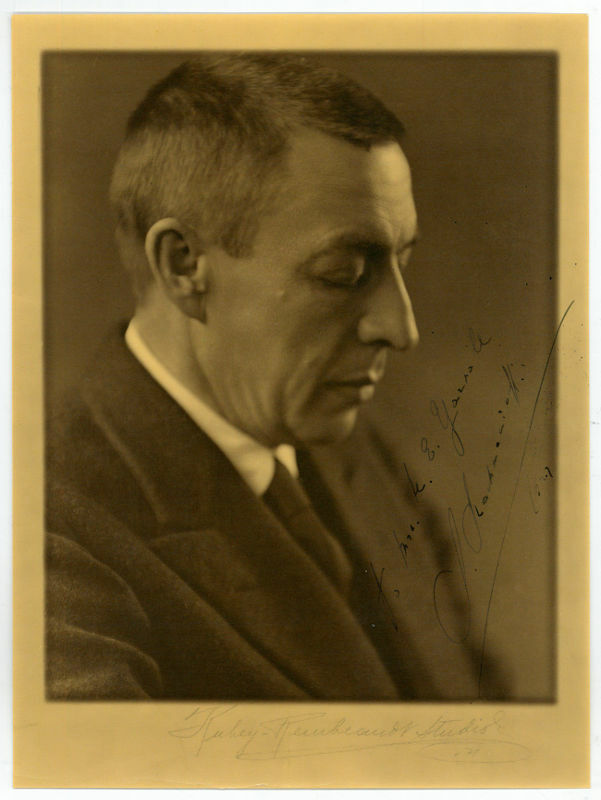 | S. Rachmaninoff | 1927". - A fine bust portrait by Kubey-Rembrandt, showing the artist in profile while looking down. Inscribed in the image, vertically, lower right. 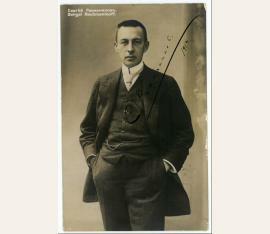 - Additionally signed by the photographer, in pencil, in the blank lower margin.